← “Times, Times and Half a Time.” Decoded? 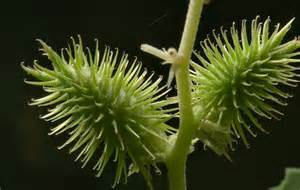 Cockelbur. Not fun, especially once dry and stuck in your clothes!! During that discussion, we talked briefly about the Sabbath and upon reflection, I noticed something fascinating that will prove beneficial in future conversations. When we attended seminary at Columbia International University (class of ’02), one of the annual requirements was signing and submitting to the policies of the Standards Handbook. Because the Christian college and seminary are Biblically very conservative, one of the standards we were required to agree to was a strict ‘Sunday/Lord’s Day’ observance. This required regular participation in a particular church body/family (i.e., not a lot of church hopping), no work, rest, no purchasing, etc. Most who graduate from that school continue in a pretty strict observance, as has my friend. My reply was to respond with verses pointing to the ‘seventh day’ and God’s inviolable covenant with His people and the Shabbat. While these are solid responses to the sanctity of the seventh day Shabbat, I have continued to roll this conversation in my head and think there is a better response. My friend committed a radical and glaring error that Christendom makes all of the time. Exodus 20:8 “Remember the sabbath day, to keep it holy. 9 Six days you shall labor and do all your work, 10 but the seventh day is a sabbath of the Lord your God; in it you shall not do any work, you or your son or your daughter, your male or your female servant or your cattle or your sojourner who [a]stays with you. 11 For in six days the Lord made the heavens and the earth, the sea and all that is in them, and rested on the seventh day; therefore the Lord blessed the sabbath day and made it holy. From this commandment they would make a case for no work, not making anyone else work (i.e., not going to a restaurant), rest and worship. They might take me to another passages, but all lead to the same error. And that, ladies and gentlemen, is how to set up a glaring quandary that will trouble them not just with dozens of Shabbat passages, but also with hundreds of other passages. To remind you, hermeneutics have to do with the rules of how to interpret Scripture. Every seminary trained pastor will have had a class or two on hermeneutics and will adhere to a set of interpretational principles. Those principles almost always include a rule on literal or spiritual consistency within a passage unless there is a very clear reason within the passage to alter the understanding. Simply, you can’t read half of that command and take it literally and then ignore the literal nature of the other half. It is a gross violation of any reasonable rule of logic or hermeneutics. My goal in conversations has ceased to be changing someone’s mind about the Messianic perspective. Truly, there is way too much that has to happen for someone to really ‘get it.’ Rather, I want to expose inconsistent thought processes and create just enough doubt that they have to roll it over in their head. For some it takes less, for others it takes more. The point is that I try not to unload too much (diarrhea of the mouth), but rather throw a little cocklebur into their mental clothing that begins to irritate wrong thought processes. Exposing the logical and hermeneutical fallacy of inconsistent handling of Scripture is a wonderfully irritating cockelbur that should yield eventual fruit. I encourage you, my dear readers! Abba is doing something amazing in our day and we really need to be sensitive to openings where we can share truth. Just let the Ruach (Spirit) lead. Speak in LOVE and don’t overdo it. Just plant/water seeds and let Him bring the increase! This entry was posted in A Thought..., Sabbath and tagged CIU, cockelbur, Columbia International University, hermeneutics, Sabbath, seminary. Bookmark the permalink. Hey Pete you answered the question about the choice I made about going back to my home church. The (Ruach) Spirit has lead me here, just two or three pass I was reading a book of mind , and, I ran across the term hermeneutics . Believe it or not I had the chance to use this method of interpretation to explain a passage, man it was so exciting. Thanks you YESHUA ,and thank you Pete. ShLom.